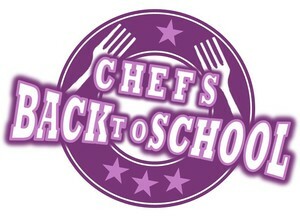 Our volunteer team bring exciting news on the launch of our new programme called Chefs Back to School. We are inviting all our schools to take part, you can register for free here. 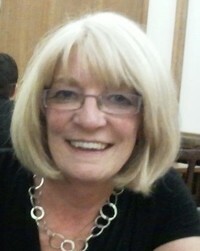 Do you have links with your local catering and hospitality FE and HE Colleges and Universities? Would you like better links? 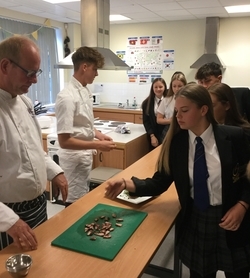 Our Chefs Back to School programme was piloted with Westminster Kingsway College in 2018. Student chefs returned to their original secondary school. They provided a practical demonstration to an examination class and described their own course and future career prospects to pupils at the school. This programme is supported by the Savoy Educational Trust. The Food Teachers Centre team would like to collect some information about your exam results (GCSE and vocational courses). Are class sizes, reduced curriculum time and tightening budgets impacting on your results? Do you need more help and how can the volunteer team help you? Please take 10 minutes to fill in the survey. 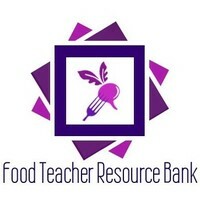 The results could be something that you can use to gain access to more resources and to help us make a case for more support for food education. You have to be a member of the group to fill in the survey. Earlier this year, several big supermarkets voluntarily stopped selling heavily caffeinated energy drinks to under-16s, but it’s still very easy for young people to buy them in corner shops, vending machines and independent stores. Now the government is considering legislating to make direct energy drinks sales to children illegal in every shop, including vending machines. They may even go further than the big supermarkets have to date, and extend a ban to include 16 and 17 year olds. We want to make sure teachers’ views are heard loud and clear in any decision they take. – anything else you think could be done to reduce excessive consumption of these drinks by children. 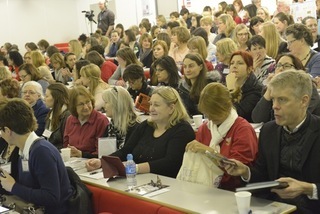 There is also an optional opportunity for participants to enter a prize draw to win a £25 M&S voucher. 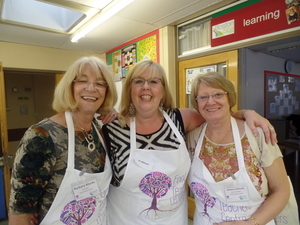 What makes good food teaching? BNF is planning to develop an online publication that explains and exemplifies the characteristics of good practice in teaching food and nutrition education in secondary schools. The Food Teachers Centre team are supporting this as an excellent follow up to the Food Teachers Proefssional Portfolio programme. 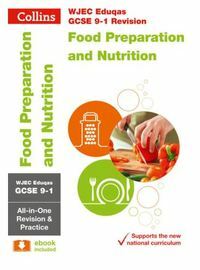 The publication would support the Food teaching in secondary schools: a framework of knowledge and skills (PHE/DfE 2015) and would outline the ‘what’, ‘why’ and ‘how’ of teaching each guideline within the framework. 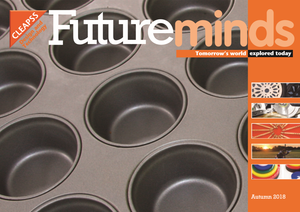 The publication will be made available free-of-charge with the purpose of sharing good practice with all those involved in delivering effective food teaching and learning. 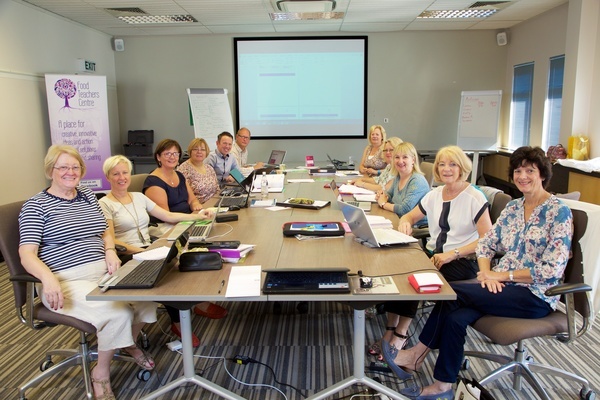 BNF is keen to ensure it reflects up-to-date and modern practice, underpinned by tried and tested pedagogy, processes and procedures and would therefore like to understand what works well in your school. If you’re willing to help inform this publication, please provide BNF with your thoughts, suggestions and ideas by completing a short online survey, click here. Look out for our launch of a spectacular version of the Teacake Challenge at our national event on Saturday 3rd November. Invented by Deborah Prigg of the Facebook group, and used by many teachers this year. All your pupils are invited to take part and may win some fun prizes. Look out on Saturday 3rd November in the Facebook group for more information. Yes, this really is free. Yes, this really does work. No gimmicks. If you would like more information on how to set up class groups, homework, the science behind why students perform so much better with this platform, then visit our SPOTLIGHT discussion in the group. 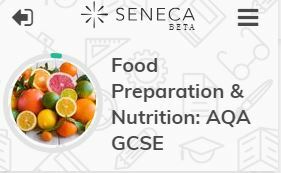 Ideal for all classes throughout the GCSE course, brilliant for stretch and challenge, for independent work, for homework, for revision, … and to support non specialist teachers. 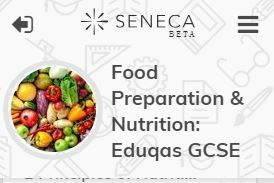 Food Teachers are able to use Seneca to track their students’ learning. Time on the platform, number of questions answered and number of topic studied are already available. A sophisticated tool is available, with which teachers can set homework and receive a detailed report on each student’s progress, including statistics on performance. Students learn by actively recalling information and solving problems, instead of going through a large chunk of content followed by a short quiz at the end. Additionally, images, diagrams, mind-maps and videos are present throughout the courses, facilitating understanding and memorisation. The platform is free. A lot of education resources seem expensive, effectively pricing many schools and students out of the market. They did not want that to be the case with Seneca. They don’t believe that access to our system should be determined by a parent’s income or the degree of school budget cuts. Simply sign up by pressing the pictures below. 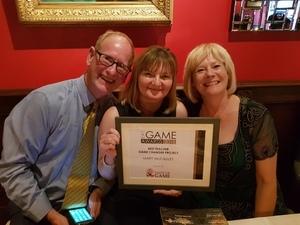 Food Teachers Centre member and Schools Game Changer programme teacher, Mary was recognised for the development of skills and knowledge of her 10 GCSE classes by the judges of the Eat Game Awards! 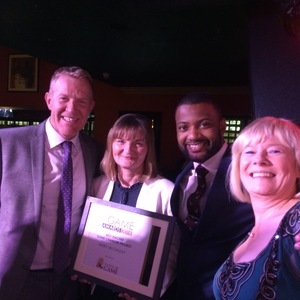 A celebratory meal, with an opportunity to meet stars of BBC’s Countryfile – Adam Henson and ex pop group JLS member – JB Gill, made for a memorable evening. If you are interested in finding out more about Schools Game Changer, do contact Simon Gray or check out the Facebook group for information on how to register. schools, a significant number of colleges and many overseas schools. primary and secondary schools and colleges. and its subsequent Regulations, in respect of these subject areas. D&T, Food, Art and primary and a support team of administrators. CLEAPSS has been supporting practical work in schools since 1963.
job service and advice about pressure vessels and COSHH. 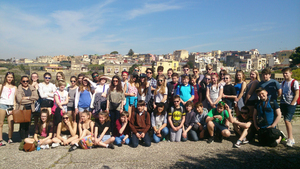 The Select ‘Food Safari’ school trips abroad aim to build an in-depth memorable tour with each activity linked to an element of the food technology syllabus. 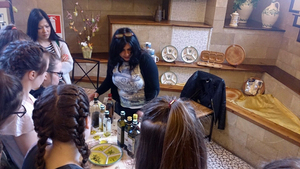 The Food Safari tours are exclusive to Select School Tours and you can choose from a variety of exciting destinations including Normandy, Sicily, the Bay of Naples, Andalucía and Iceland. We especially recommend a trip to the Select run Château du Baffy where the group can experience some French cuisine from our French chef Thierry and take part in some fantastic food related excursions located in the area. You can find out more about these school trips abroad online at Select School Tours and view more on the Chateau du Baffy at chateaudubaffy.education, or contact 01444 870100 to discuss the possibilities and to be connected with a regionally based Travel Advisor, available to visit you at school. 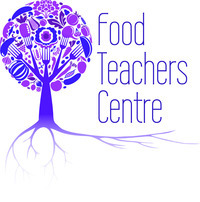 Please mention the Food Teachers Centre. Please pass this amazing opportunity on to your young students aged 13-15 years old. 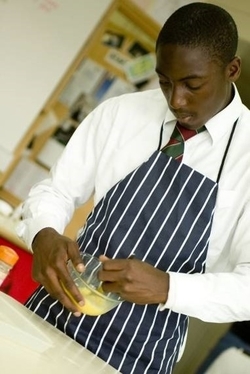 The Young Chefs’ Academy at Westminster Kingsway College has been the starting point for many of our graduates. 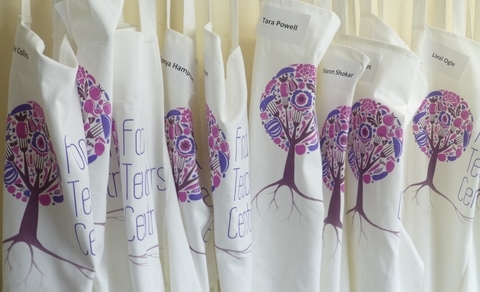 This is a Saturday cookery course for 13-15 year olds with a certificate awarded upon completion. 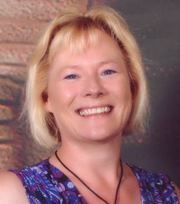 What are the issues for lower ability learners on the new courses and how can they be addressed?